The island province is a heart-shaped Eden of sand, sea, mountains, and falls - all you could ever hope for in an island vacation. 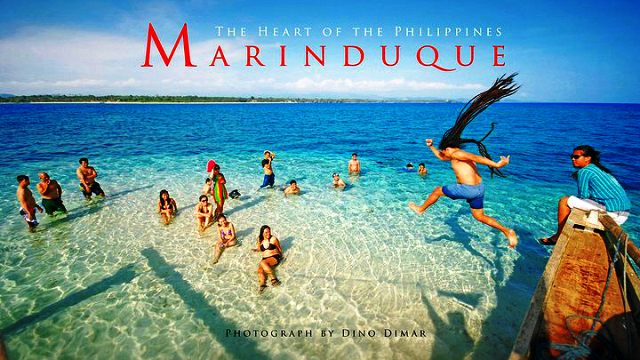 Marinduque known as "The Heart Shape Province in the Philippines"
About eleven miles away from the island of Luzon is a heart shaped piece of land (370 square miles) surrounded by the clear deep blue sea - Marinduque. It is the geo-physical center of the Philippines, hence dubbed as "The Heart of the Philippines". It is the smallest province in the southern Tagalog Region with only 6 towns, namely: Boac, Buenavista, Gasan, Mogpog, Sta. Cruz and Torrijos. 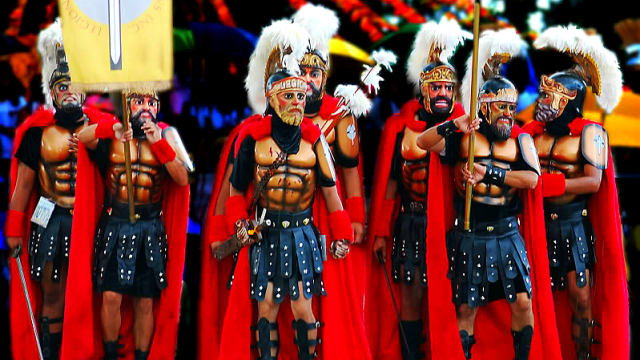 For most tourists who want to see the Moriones Festival, the best time to go to Marinduque is during the Lenten Season which usually starts in the Philippines at the last week of March or the first week of April. Aside from the Moriones festival, there are more than enough reasons to explore the island. It offers year-round attractions that are often left out in the tourist trail. However, bear in mind that June-October are the rainy and typhoon-prone months. Air Juan’s seaplane service lands directly to Marinduque Domestic Airport, Masiga, Gasan, Marinduque from Air Juan Seaplane Terminal, F. Ma Guerrero St., Pasay, Metro Manila (near PICC) and vice versa every Monday and Thursday, 7:00 am (Manila ETD) and 8:00 am (Marinduque ETD). Regular fare is P4,500 per person per way. For booking and reservation, please click here. There are public utility buses from Metro Manila that will take you to Grand Terminal, Lucena City where public utility jeepneys bound for Talao-Talao Pier are available. Buses with direct route to Talao-Talao Port specifically those with signboards “Lucena-Talao-Talao Pier” are also available. From Manila, you may took off at Buendia Terminal in Pasay City corner Taft Avenue. From Quezon City, get to Kamias Road Terminal corner EDSA or Ali Mall Terminal at Cubao. Available buses at said terminals are Jac Liner, Jam Transit , Lucena Lines and Dela Rosa Lines. Jac Liner, Inc., the biggest bus operator in Southern Tagalog, also offers direct route to Marinduque. For more details or reservations, you may contact Tel. # 02-404-2073 (Buendia Terminal) or Tel. # 02-927-6139 (Kamias Terminal). You can also bring or drive your own car or vehicle in going to Marinduque by boarding the Roll-on, roll-off sea ferries (Roro) when you reach the Talao-Talao Pier. Average travel time by land from Manila to Lucena City is three (3) hours. At Talao-Talao Port, Roros of Montenegro Shipping Lines, Inc. and Star Horse Shipping Company bound for Balanacan Port, Mogpog are available. Travel time ranges from 3 to 4 hours for Roro. The ride costs Php 200 or might go up but will never exceed Php300. Upon reaching the Balanacan Port, there are public utility jeepneys and airconditioned vans waiting to take you to your destinations with signboards: Boac, Mogpog, Gasan, Buenavista, Sta. Cruz or Torrijos. Watch the video to learn more about Marinduque.